AT the start of the season, Andrew McNeil was expecting to board a plane to China to represent Great Britain at the 2011 University Games. But even though, the goalkeeper is still near the start of his career, at the relatively young age of 24, previous experience should have taught him to expect the unexpected. “It sounded like an unbelievable opportunity and because I was without a club after my contract ended at Raith Rovers, due to financial cuts, I jumped at the chance,” said McNeil. “It was a great goal for me as it gave me something to train for and focus on, despite not having a club. “I went away with the squad to a training camp in Sweden and during the trip I got a call from Livingston, asking me to sign for them. I wanted full time football and I couldn’t turn down the offer. A pupil of Leith Academy, McNeil attracted interest from clubs down south from an early age and when he was 16-years-old he signed for Southampton. Although, the keeper looks back fondly at his time with the English club, the arrival of a new manager and the signing of a rival goalkeeper meant McNeil faced a tough decision regarding his future. 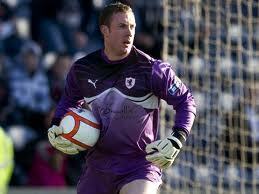 “Things were great for me at Southampton and I really enjoyed my time there,” recalls the goalie. “However, I was forced to move on when George Burley took over. He sacked the whole back room staff and brought in a new ‘keeper without seeing me play. It was clear where things where heading, so I asked to leave about three weeks after he took over. 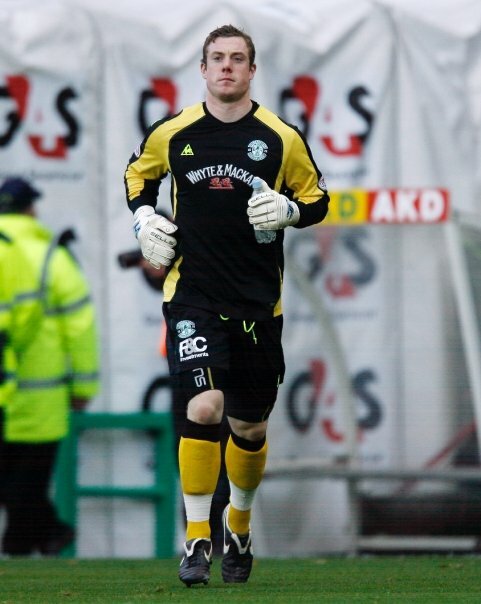 McNeil knew it was the right time to move on and try to progress with his own career and done so by returning to the club he supported growing up, Hibernian. “I came home and a few days later I ended up signing with Hibs until the end of the season. “It was good to be home amongst my friends and family and it felt like a big deal being at Hibs. I went in with the Under-19’s but within a year I had made my debut for the first team. However, even though playing for his local side was a dream come true and his time at East Road included winning the League Cup Final in 2007, the pressures that came with playing for a top Scottish club soon became clear to McNeil. “I made a mistake against Hearts and then had a poor performance against Rangers and I suddenly went from being ‘the next big thing’ to getting a lot of criticism from the press and supporters,” explained the current Livingston player. “It was a difficult time and at 20-years-old, I didn’t have the experience to handle it. I never asked to be labeled as a ‘rising star’ and I certainly didn’t appreciate the many articles criticising me. Looking back, McNeil understands playing at a high level means being in the spotlight but believes it is unfair for footballers to have to accept criticism from supporters once they step off the pitch and begin to live their personal lives. The former Scotland under-19 and under-21 star confessed: “Most footballers want to play at the best level they can, but the higher the level you play, the more scrutiny and criticism you receive. “I think it was made harder for me being a local boy and living in the area. People would come up to me when I was eating in a restaurant and start up a conversation as if they knew me. “It’s difficult because you want to be nice and accommodate people but it is an invasion of your privacy. People can often be too forth coming with their opinions that you never asked for; they would criticise my teammates or I, as if I should just accept their opinions because ‘they pay my wages’. “Footballers are meant to just bite their tongues and it is a side of the game I have never enjoyed”. McNeil qualified to represent Britain at the 2011 University games in China, due to his studying for a HND in Sports Coaching at Telford College while he was playing part-time for Montrose a couple of seasons ago. And McNeil, who is keen to get into the coaching side of the game once he has retired, understands how important a background in education can be, after suffering spells out of the game himself. “Coaching was always something that I had considered going into once I retired. I want to remain in sport and coaching is the obvious choice,” expressed McNeil. “I enjoyed the first year of my course and I learned a lot – some of which I’m using to the benefit of my playing career. “When you are released from a club, you are filled with a lot of emotions: you’re angry because you feel you were treated unfairly, and scared in case you don’t find a club. Despite his League Cup Winner’s medal and representing his country at every level from 14 to 21-years-old, including reaching the final of the 2006 European Under-19 Championship and starring at the Under-20 World Cup in Canada, there is one game that stands out firmly in McNeil’s memory. “I was playing for Hibs and we managed to get a 3-3 draw away to a very strong Aberdeen side. The manger at the time, John Collins, fielded a very young team, with an average age of 21,” proudly said McNeil. “We finished the game with nine men. I gave away a penalty then saved it and we got absolutely battered for the whole of the second half. I absolutely loved it! “The best part was all the players, were the boys I had got close to in the youth team. We were boys playing against men and we stood firm. While McNeil admits his aim for the rest of his career will to be to try and play at the top-level, which for him, means the English Premiership, the goalkeeper has taken great heart from a book he has recently read, Bounce by Matthew Syed, and would pass on the advice to the sports stars of tomorrow. He said: “The book basically states that there is no such thing as talent, that success is when motivation and opportunity collide. “Syed talks about how statistically the best figure skaters are the ones that fall over the most. They are the ones who reach the top because they are prepared to try difficult moves and aren’t deterred by a hard fall on the ice. Posted in Features, Sport and tagged Football. Bookmark the permalink.